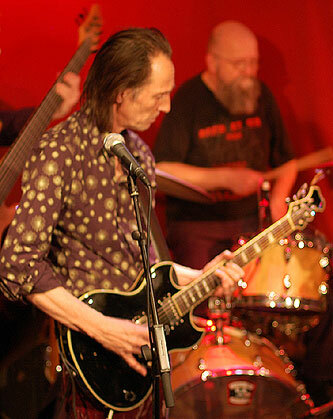 Back in the late 60s Swedish guitarist Kenny Håkansson started recording and producing albums with his group Kebnekajse. In between recording a series of now classic 70s albums with Swedish psychedelic rock icon Bo Hansson, Håkansson also broke new ground with the psychedelic World Beat, Svenska polska sound of Kebnekajse. 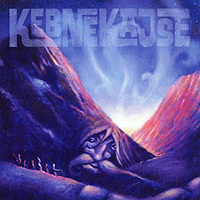 Recording on the Silence label back in the 70s, Kebnekajse amazingly reformed in time for a new 2009 studio album. On the boardsjust like on those classic albums form the 70sis expert Swedish sound man Anders Lind, who recorded the 2009 self-titled Kebnekajse comeback at his fabled Silence studios deep in the woods of western Sweden. The perennial all around cosmic guitaristand a true guitar hero in his native SwedenHåkansson is in rare form on this fantastic album of electric Swedish instrumental folk-jazz fusion. Featuring Håkansson backed up by his Kebnekajse bandmatesall top players from the progressive Swedish music scenethe recordings may say 2009 but the vintage sounds here bring back memories of 1977! Thankfully, New England distributors Forced Exposure have picked up the CD distribution for North America. MWE3: Kenny, your history of playing guitar goes back decades already. KH: I have been playing in bands since 1963. I was playing tenor horn in a brass band with a lot of boys and girls age of 14 - 19 years old. My brother played the tuba, and there was a boy playing drums. Us three formed the first band, with me on electric guitar, my brother on electric bass and the drummer boy. Our repertoire then was tunes from the Shadows and old evergreens stuff, played instrumental. I started to play guitar at the age of fourteen, around 1959. MWE3: Can you give a little history behind this 2009 self-titled comeback album with Kebnekajse? KH: We didn't name it other than Kebnekajse 2009, and it is recorded in two ways. Drums, basses and percussion were recorded in Silence studio deep in the woods of west Sweden a November week in 2007. That is the really dark season in Sweden, and in the forests you can just almost hear gnomes and elfs running, whispering and giggling around the house in the evenings. We used a 24-track analog tape recorder, and we set the band up as in a live recording. Later on we re-recorded the violin tracks and the guitar tracks in my studio at home. It was also possible to reshape some of the tunes at this moment. MWE3: How did it feel reuniting with your old Kebnekajse band mates? KH: Everybody was enjoying working in a studio again after so long. Last time we were in studio together was in 1976, thirty years ago. Hmmm, time flies. Our sound has improved a lot. For one thing, there were no tuning devices in the seventies. That alone makes a big difference. And today the electric violin is much better as an electric instrument than earlier. Thirty more years of practicing and experience is also noticeable. Our first gig since 77 was 2001 on a minor music festival in Stockholm, and after that we have been doing three or four events every year, and finally it became an album. The album was released February this year, and we have been doing quite a few concerts since then. MWE3: What was it like working with engineer producer Anders Lind of Silence Records once again? KH: It is always nice to work with Anders. When working with Anders you know nothing on the technical side can go wrong. Silence as a record company is a bit quiet at the moment. They seem to be suffering hard from the low CD sales today. They are lying low on producing new bands or artists, but is still selling their old stuff through internet. You can see their offerings at www.silence.se I remember seeing you Robert, there in 1981 while doing my Benos Ben album and it looks very much the same today as then. That was the first time we met. MWE3: Whats the progressive rock scene like in Sweden these days? KH: If there is any "progressive" music to day in Sweden, I don't know where. It is of course a question of definition, what is progressive. The most progressive period in Sweden, as far as I feel it, was during the seventies. MWE3: Your early band, the Baby Grandmothers had a retrospective out a few years back. Can you say something about the Baby Grandmothers CD? KH: The two opening tracks were recorded in Helsinki, Finland, February or March 1968. The producer was M.A. Numminen, an avant-garde musician/performer, and we did the recordings in the studio of the Finnish Radio. The rest of the music on the CD is live recorded one night in September or October 1967 at the club Filips, Stockholm, Sweden. MWE3: How about memories of working with Bo Hansson in 1970s? Is Bo still alive and what do you think was the high point of the working relationship with Bo? KH: Bo is still alive, and is now and then playing with two younger guys as a three men band. Two Hammond's and drums. Yes, I do have a lot of good memories from that time. It was a very musically interesting period for me, and probably formed me more than I did then realize. Especially Bo's short little melodies, that he and I together mostly, made songs of. I can recognize Bo in some of my music, then if that is him, or any other influence, I don't know. We grew up in the same area, went to the same school, and are the same age, and have the very much same musical background. MWE3: Can you reflect on working with Stig Vig in your late 70s band Dag Vag? Is Stig and Johan still around? I still have the English EP you did with them in 1981 somewhere on cassette! K: Stig Vig is a very special person. He was born and raised in the north part of Sweden where summer is short, and the dark season is from September to April, and most people don't talk more than necessary. Like five words a day. He has got a talent for writing strong and simple songs, that works really good in Sweden, but not so good internationally. Johan has left the group two years ago now, and is replaced by a new and younger guitarist, Teka Puck. MWE3: Tell us something about your favorite electric guitars and the guitars featured on the latest Kebnekajse album. K: I use a Malmberg guitar on most of the tracks. 0,010 - 0,052 inch strings, Line6 Pod/xt, Music Man 120W 4x10", Morley Wah/Vol, Roger Mayer VooDoo dist. Also there was a Fender Strat tuned down to D. It is the D-tuned Fender on the opening track "Leksands Skänklåt" and track 5 "Brudmarsch till Per & Anna". MWE3: Can you mention some of your musical influences and favorite guitarists growing up? KH: My first guitar "hero" was Hank B. Marvin of The Shadows, but also Duane Eddy and The Ventures, and the guitarist playing on Elvis albums, and Bill Haley. And there were a couple of Swedish guitarists that made an impression on me. 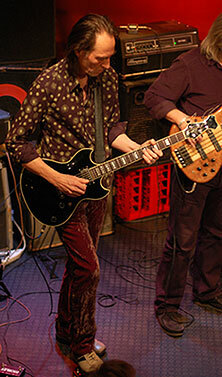 The Spotniks was a group that was quite big in Japan, and had a solo guitarist with a very personal, crispy sound. After all those initiators there came Jimi Hendrix, Frank Zappa, Leslie West, McLaughlin, actually almost every guitarist of the sixties and seventies that were in the rock scene of psychedelic flower power music. I have also listened to a lot of African music through our African percussionist in Kebnekajse, and there you can find some brilliant guitar playing. MWE3: How big an influence was Hank Marvin and The Shadows back in the early days? KH: Very big. If it hadn't been for him, I probably would have bought a trombone instead of an electric guitar. MWE3: Any future musical plans? KH: I have been working on an album with my band for quite some time now and my intention is to have it recorded and released within this year. Also here I find myself being more and more pretentious, which makes it so hard to let things go, if I am not completely confident about the quality of my work. The work name of the group is "Psychedelic Dream" and as you might guess, it is some kind of psychedelic like music. Whatever psychedelic music is. In the sixties/seventies I found most music psychedelic, depending on what I was on. MWE3: Can you tell us your web site and email contact info?